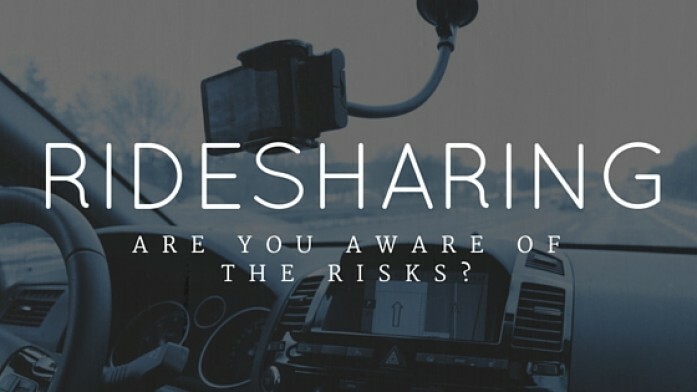 Ridesharing: Are You Aware of the Risks? Ridesharing: It is becoming more popular, are you aware of the risks? Ridesharing services like Uber, Lyft, and Sidecar are gaining popularity. Drivers sign up with one of these service, which charges a fee to connect them with passengers. Passengers arrange rides and pay with a credit card using a website or smartphone app. However, many drivers and riders don’t understand that personal auto policies generally exclude coverage when a vehicle owner is transporting passengers for a fee. Generally a standard personal auto policy will NOT provide coverage for ride-sharing. Personal auto insurance policies are not designed for commercial ride-sharing. Most personal auto insurance policies contain a “public conveyance or livery” exclusion. Which means that insureds are not covered when using their vehicles to transport passengers and charging money to do so. Ridesharing services, also known as Transportation Network Companies (TNCs) are not subject to the same regulations as taxi and limousine services. TNCs contract with drivers who use their personal vehicles to transport passengers. Therefore, many of the drivers do not have a livery driver’s license and their vehicles are not registered or insured as commercial vehicles. Drivers are private citizens and include college students, stay-at-home parents and retirees. It is important that parents discuss ridesharing with their children. Many college students may be offering these services while on campus and their parents may not even know it is happening. Not only is the driver and vehicle owner most likely uninsured in these instances but the passengers are also at risk. Numerous state insurance regulators have also noted that passengers are taking a risk when they pay for a ride with an uninsured or underinsured TNC driver. In the event of an accident, an injured passenger may not be able to recoup damages, as they would from a traditional licensed and commercially insured taxi or limousine service. Insurance is available for people wanting to make a little extra cash by offering these services. Due to the rise in popularity of ridesharing, many carriers are now offering specific policies for these ventures. Contact our office today to find out what options you have before you start taking on passengers. Don’t wait until after a claim is denied before becoming properly insured.